Should ophthalmic nurses be involved in setting the national eye health agenda? Ophthalmic nurses play a key role in delivering care to people with sight conditions. But more often than not, they aren't consulted when national agenda-setting conversations take place. Editor, Hannah Adams spoke about the reasons why they are excluded at board level at last week's RCN Ophthalmic Nursing Conference 2016. Back in July 2015, my predecessor and the previous editor of NB Online, Funmi Majekodumni, wrote a blog about the launch of what she called a “super group”. 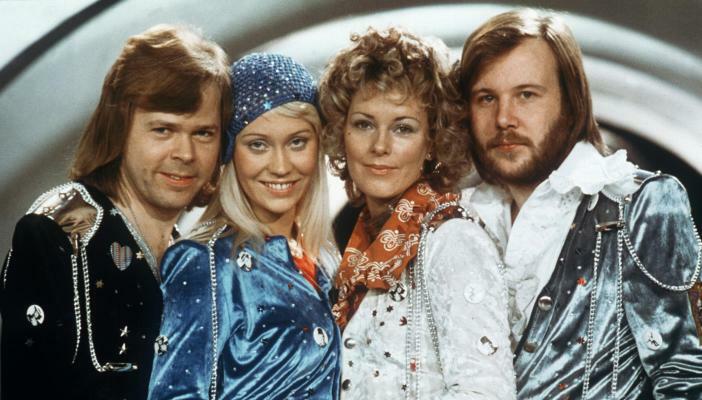 No, I don’t mean ABBA, but the England Vision Strategy. It was announced that the England Vision Strategy, the regional division of the UK Vision Strategy, would bring together the leading eye health and sight loss organisations to work together to deliver a six-part plan for England. That all sounds wonderful, doesn’t it? Except what wasn’t so wonderful was that the executive board of the super group, lacked representation from ophthalmic nurses and other key professions including rehab workers, orthoptists and ECLOs. Since then, ophthalmic nurse representation has been included on the board in the form of Juliat Burns, department manager at Warrington Hospital, but unfortunately not for the other professions. When I read the blog, I had hoped this omission was an innocent oversight, an embarrassing one granted, but still just an error. The lack of ophthalmic nurse representation did ruffle some feathers, but I thought to myself, why does it need to take feathers to be ruffled before its natural to seek a nurse’s opinion when setting national agendas that’ll affect the whole population? Last month, RNIB published a report called State of the Nation that said sight loss is costing the UK economy £28bn – this is an increase of over six billion pounds since it was last reported on in 2008. Back in March, the President of the Royal College of Ophthalmologists, Carrie MacEwen, explained that hospital attendances had increased year on year in the UK. And of the 100m plus outpatient appointments made in England during 2013-14, nearly 10 per cent were for eye care. MacEwen attributed the rise in eye clinic appointments to patients with chronic eye diseases, such as macular degeneration and glaucoma and the abilities we now have, thanks to the incredible advancements made in modern medicine. But as the baby boomer generation continues to live longer, pressure on eye clinics will only further increase as there’ll be more eyes to be treated. Published within the same RNIB report, it was recorded more than two million people in the UK are living with sight loss that has a significant impact on their daily lives – increasing to 2.7 million by 2030. This includes people who are waiting for cataract operations and people living with partial sight or blindness. What is shocking is that nearly half of all cases of sight loss in the UK could have been prevented had they seen the right people at the right time. To be able to meet this sizeable issue head on, surely the sector needs to club together and gather the most experienced and knowledgeable professionals both in primary and secondary settings to formulate a solution going forward? A super group that brings together not only GPs and optometrists, but also ophthalmic nurses, ECLOs, rehab workers, orthoptists and all the other professionals who care for people with sight loss? Surely, each profession will be able to bring a valuable, unique addition to the debate. So why are ophthalmic nurses such an important piece in the puzzle? For patients with a sight condition, one of the key professionals they will encounter during their eye health journey will be the ophthalmic nurse in their local hospital’s eye clinic. Ophthalmic nurses are in a unique position: they have the specialist knowledge to not only promote and maintain ocular health, but also to act as consultants by providing ophthalmic nursing expertise to other health care professionals. As well as this, nurses are able to highlight the reality of delivering services that CCGs commission. Mary Shaw, Senior Lecturer at the University of Manchester School of Nursing, Midwifery and Social Work and Forum Chair, told me that a draft NICE report suggested that patients weren’t to be given ocular injections until they had gone blind in one eye. She remarked, “you wouldn’t expect a diabetic to lose a foot to gangrene before they were treated for their diabetes”. The draft was quickly changed thanks to Mary’s work through the RCN Ophthalmic nurse network. And importantly, to bring this back to the patient, ophthalmic nurses are the people who develop close and caring relationships and who promote independence and self-care of the person, not their condition. So what is being done to sing the praises of ophthalmic nurses? Well, there’s some fantastic work that Janet Marsden, Professor of Ophthalmology and Emergency Care at Manchester Metropolitan University and Mary Shaw are doing. There’s ophthalmic nurse representation on the Ophthalmic Public Health Committee, the Clinical Council for Eye Health Commissioning, Wales Vision Strategy and now the England Vision Strategy Executive Group – it is worth mentioning, that this representation only came after an RCN ophthalmic nurse representative requested she be added to the board, not as a rite of passage. However, there are also many boards where ophthalmic nurses aren’t represented: there isn’t nurse representation on regional boards equivalent to England Vision Strategy in Northern Ireland and Scotland. In addition, I spoke to Mercy Jeyasingham, the CEO of Vision 2020 UK, the umbrella organisation which leads collaboration and co-operation between organisations with an interest in eye health and sight loss, and there isn’t nurse representation on their boards, however, she did explain there was nurse input with the work they do with NICE. But why is it a big deal? CCG’s are obliged to have a nurse representative on their committee. This can either be an executive role or a non-executive role or layperson, it should be said the executive role is a much more working role as they are paid positions and they are expected to sit on or chair other committees including quality, performance and auditing. I tried to find out how many nurse representatives there were on CCGs in England – both ophthalmic and general practice - but I couldn’t find anyone who could tell me, neither NHS England nor the Royal College of Nurses. Even the author of the report, The role of the nurse on the CCG Governing body couldn't tell me this figure but asked if I ever found out, he’d love to know too. What I did do though is speak to a non-executive nurse (not ophthalmic) on a CCG in south London. She explained that to be accepted into a CCG, you need to have board experience which makes it impossible for anyone who hasn’t got this previous experience already to join. She explained she went into the role wanting to be able to represent her profession and bring the voice of nursing practice to the table. However, as the lay member, she said she feels tokenistic and during her interview, the panel seemed more interested to find out if she could get along with GPs than what her credentials were. Eye health broadly isn’t a number one priority for NHS England and the Government. Despite an aging population, and the fact one in 30 people have a form of sight loss, the area of medicine is not taken as seriously as cancer or heart disease or dementia. The ophthalmic nursing profession is small and it’s shrinking. I found it hard to find out information online about the profession so how will new nurses know what opportunities are out there for them in the eye health world? I did find out that there are roughly 1500 ophthalmic nurses however; I have no idea how accurate this figure is or where they are located in the four countries. One of the interesting things that kept coming up in the conversations I was having was that nurses outside of the eye clinic, don’t know what ophthalmic nurses do and, there seems to a big gap in knowledge about eye health generally with nurses in care homes, in GP practices and in fact any other department that doesn’t interact with the eye clinic. When talking to Juliat Burns, she explained that to the best of her knowledge, during training, nurses are privy to only one hour of ophthalmic teaching in their degree. That’s an injustice to the profession. If nurses aren’t made aware of what’s involved in specialising in eye care, then why would they look to go into ophthalmic care? A sector leader pointed out, “people do things often based on chance”. If a training nurse hears a lot about working in paediatrics, they are quite likely to want to find out more about it, experience it for themselves, fall in love with it and settle in that area of nursing. Some felt that ophthalmic nurses are being taken advantage of. In extending their roles, by carrying out injections and minor biopsies and spear-heading nurse-lead clinics, nurses are now doing jobs that junior doctors would previously done but without the pay recognition. Even though there are so many different groups, committees and boards meeting to discuss eye health, what didn’t cease to amaze one person I spoke to was the small size of the pool of people who go to all the meetings that decide the outcomes for how eye health will be tackled. Surely the same people need not sit on all of the boards? John Cooper, Oculoplastic Specialist Nurse, Central Manchester Foundation Trust, explained that he is the only one nurse of 40 people who sits on the Clinical Council for Eye Health Commissioning board. The vast majority of the group are optometrists and GPs, who granted, are the people who see patients in the primary setting, and so should have a say in the way in which services and pathways are organised but he explained that he felt like the token nurse, even though ophthalmic nurses make up the biggest portion of the eye health workforce. There isn’t always the time for ophthalmic nurses to get involved in going to extra meetings. A working mother or father will never not have commitments at home, and their own work pressures that build up if time is taken out of the day to sit on boards. Couple this with the fact that there are fewer and fewer funded education opportunities for nurses to take up, nurses are less likely to have the drive or finances to further their knowledge and skills. Aside from this last point though, what is also not happening, is that others aren’t following Janet and Mary onto powerful bodies and joining the party. To conclude, if I play devil’s advocate, I could say that ophthalmic nurses don’t need to be part of these big conversations because patients don’t see ophthalmic nurses until they come into the eye clinic. That the primary setting does much of the initial service delivery and only those who need specialist care will ever meet with an ophthalmic nurse. However, I don’t believe this to be the case. I believe ophthalmic nurses should be involved in conversations about planning primary and secondary care on a national level, about what happens on the high street and in the GP practice as well as within the eye clinic. Why? Ultimately, ophthalmic nurses are best placed to understand the patient’s needs and their journey. Nurses care for patient’s overall well-being and not just their eyes. As Mary poignantly said to me, ophthalmic nurses have to remind others that, “we’re dealing with people, not robots.” Nurses also have experience of working in multidisciplinary teams, interacting with many number of health professionals often outside of the eye unit including rehab workers and care home workers who may not know anything about eye care. There is work to be done to raise the profile of ophthalmic nurses, and unless it comes from the people within the sector, I can’t see much changing any time soon. So, how do I suggest this could be done? A company can create the most powerful, wonderful product or service, but unless people know about it, through advertising, the TV, the internet, word of mouth, they will hardly ever engage with the company and buy the incredible product. My message is: ophthalmic nurses should be bold and promote the profession wherever and whenever they can. With such a meagre amount of time spent on eye health within the nursing degree curriculum, training nurses don’t have the opportunity to fall in love with ocular health. More time should be spent learning about eyes, the warning signs that indicate a sight condition, the increased risk of falls and benefits of registration and good rehabilitation. I have no idea what boards ophthalmic nurses would need to sit on or to whom they’d need to speak with to make this happen, but if more attention was given to all nurses learning about ocular health, it would solve all sorts of issues not just the shrinking size of the profession. And on this topic, more nurses will need to be recruited. Ophthalmic nurses have an incredibly important role in the hospital and it can be very rewarding. Other nurses looking for their next career move and training nurses need to know this too. And finally, employers need to be made aware of the time constraints involved with going to extra meetings. Hospital bosses need to be more flexible in allowing ophthalmic nurses to attend important meetings during work hours. Juliat Burns told me about two ophthalmic nurses who were excited to be going to a regional England Vision Strategy meeting (there are nine by the way, all of which that need ophthalmic nurse representation on), but had to cancel their attendance because the meeting was during work hours and there was an issue at the hospital which they couldn’t avoid. I can’t claim this to be an exhausted list of reasons why ophthalmic nurses are left out of national agenda-setting conversations, but it’s good a start. The recommendations are also not definitive. I, for one, would like to see ophthalmic nursing given the representation the profession deserves on all the relevant eye health and sight loss boards, committees and groups. If you have any further thoughts on the matter, I’d love to hear from you. Join the RCN Ophthalmic nurse network today. This blog was updated on Tuesday 4 October.